The Limited Edition Lurdenlaw Tweed Hevingham Jacket is a beautifully fitted jacket that can be worn for any occasion. 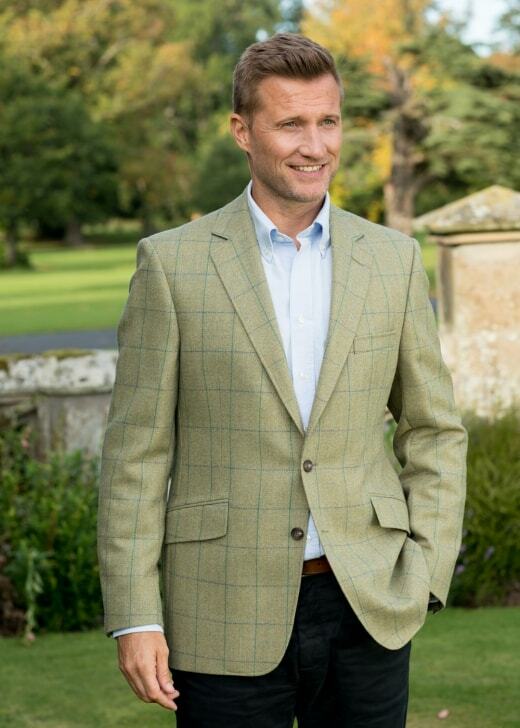 The Limited Edition Lurdenlaw Tweed Hevingham Jacket is a beautifully fitted jacket that can be worn for any occasion. The cloth is exclusive to A Hume and is designed by Archie using the finest Scottish Borders tweed. Created with lovely button detailing, the Hevingham style is slick, English fitting and instantly smartens up any look. This jacket can be worn alone with chinos or paired with related garments to make a suit.